President Paul Biya is at it again. There is no limit to Government asking for loans. In fact, reaching emergence is now a must for the regime. It seems that has to come before the so called 2035. Last week, the regime of Paul Biya borrowed 73 billion FCFA from the World Bank. 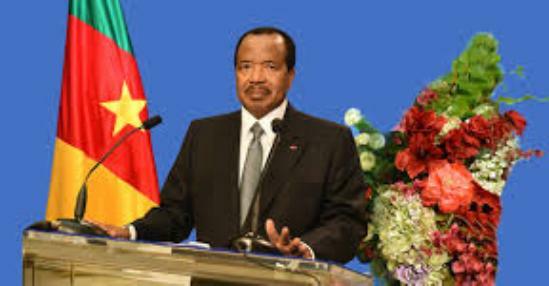 Cameroon’s Louis Paul Motaze, Minister of Economy, Planning and Regional Development and the Director of Operations of the World Bank, Elisabeth Huybens signed two agreements in Yaounde amounting to closely 73 billion CFA francs. This money is meant to finance the health sector. Cameroon’s health sector is very porous. Nurses and doctors have been on constant strike. Health facilities are hugely lacking with a very low cost of living. Considering the corruption standards of the regime, it still begs ours understand if this loan will be put to good use and how such a loan will generate money for payback. The agreement Specifically made mentioned of about 58 billion francs and a grant of 15 billion for the financing of the Project for strengthening the performance of the health system (HSPP). The loan will be used for projects that will enhance the care of women and children, improving the quality of health services with a focus on maternal reproduction, infant, health and nutrition services for adolescents. It will be operational in the three northern regions involving 44 health districts. Truly? it has been the same in the last 34 years,there has never been any significant health care projects from the LRC government, apart from private mission churches across the county which are providing adequate health care across all the regions, how can a government take charge of health care when there is poor infrastructure,poor sanitation, no drinkable water, poor supply of electricity? youth unemployment? the regime is using these loans for their personal interest such as expensive medical care oversees, funding their children’s lifestyle abroad and luxuries and private banking, when Biya is no longer president , future generations will be paying these loans for over 100 years, selfish, incompetent dictator. Cameroon: Toll Gates To Increase From 500 CFA To 2500 CFA !!!! !